The Idaho Workforce Development Training Fund helped us provide high quality CAT Diesel training to 20 + newly hired technicians this past year. The ability to conduct this valuable training with Workforce Development Training Funds has been critical to our growth and overall success. We were able to meet the skills gap in our industry while putting talented Idaho technicians back to work! Our experience with this program has been so phenomenal, that we already have plans in place for another contract with the Idaho Department of Labor for January 2013. The whole process has been very smooth and extremely flexible… much easier than I anticipated! I can’t thank the folks at the Department of Labor enough for being so accommodating to our unique business needs. I only wish that we had known about this incredible resource sooner! • Increase their current workforce or retrain existing staff who otherwise face layoffs. Companies interested in learning more about the fund should contact their nearest local office or visit the workforce training section of labor.idaho.gov. 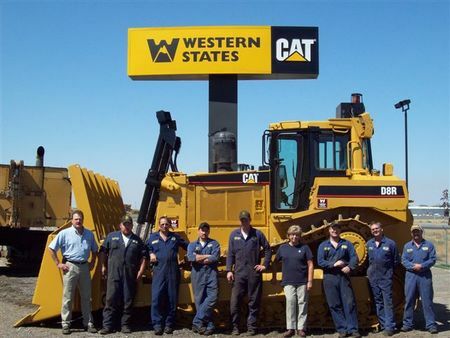 This entry was posted in Employers, Uncategorized and tagged Caterpillar Diesel Training, idaho, western states, workforce training on August 13, 2012 by .